A litter of four mountain lion kittens were found in the Santa Monica Mountains. Photo courtesy of the National Park Service website. 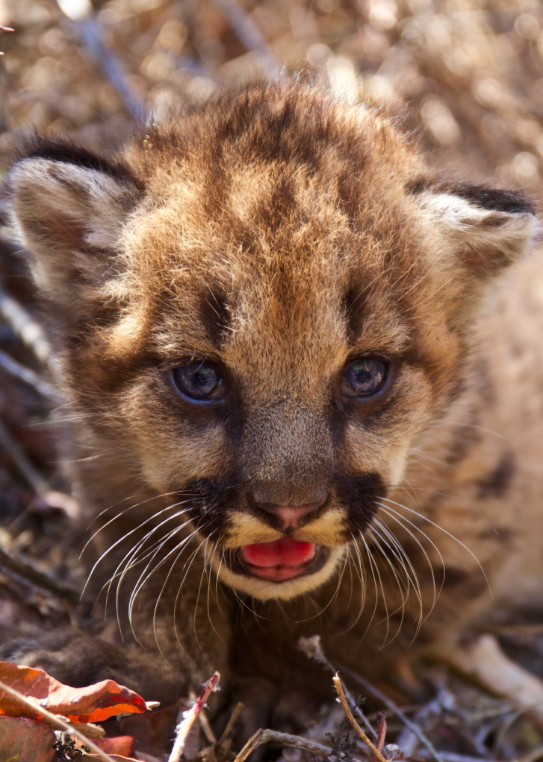 SANTA MONICA—A litter of mountain lion cubs were found in a remote area of the Santa Monica Mountains. The four lion cubs are suspected to be the result of inbreeding, an ongoing issue occurring with the mountain lion population living in the Santa Monica Mountains. National Park Service researchers found the lion cubs and are conducting genetic tests to determine the father of the kittens. The cubs, known as, P-70, P-71, P-72, P-73 are the offspring of P-19 and P-56, researchers believe. P-56 is the grandson of P-19. He is also the result of inbreeding, after his mother, P-23 mated with her father/grandfather, P-12. According to the National Park Service website, researchers have studied P-19, who is now eight years old, since she was approximately four weeks of age. Of the seven known kittens from her previous three litters, four have died (P-23, P-32, P-33, and P-34), two were never outfitted with GPS collars (P-24 and P-46), and only one is confirmed to be alive (P-47). Research done by the National Park Service indicates that inbreeding has been occurring within the mountain lion population in the Santa Monica Mountains due to the highways surrounding the mountains. Caltrans, along with other partners are currently working on a plan to build a wildlife crossing over the 101 Freeway in the Liberty Canyon area and released the environmental compliance document earlier this year. The new kittens, two males and two females, have been marked with ear tags by researchers and are currently being studied.